Construction’s recovery will create 182,000 new jobs over the next five years bringing shortages of key skills including civil engineering and construction management, according to a forecast from the Construction Industry Training Board (CITB). But employment in the industry in 2018 will still be 196,000 below pre recession levels, says the CITB’s Construction Skills Network report Construction Skills Network Blueprint for Construction 2014-2018. 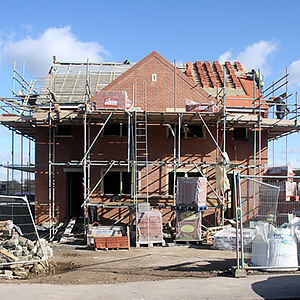 Housebuilding is expected to be the strongest growing sector, rising an average of 4.6% a year to account for over a third of total annual construction output. Infrastructure will be close behind with average annual growth of 3.6%. The industrial sector will also grow strongly, 3% a year on average. Infrastructure will exceed its previous 2011 peak in 2014, driven by transport improvements, energy and the move to renewable energy. London’s Crossrail project is at the halfway stage but there is a large pipeline of projects coming on stream during the forecast period including the new Mersey crossing, major motorway and trunk road upgrades, and rail works like electrification of the Great Western Main Line. Energy projects will include start of work this year on the Hinkley Point nuclear power station and work should also start during the forecast period on nuclear projects at Wylfa and Sizewell C.
The prospects for publicly funded school building are muted but the university sector will see some major expansion programmes get under way. A decline in health construction is expected although there will be some major projects like Royal Liverpool Hospital redevelopment which is to start this year. Distribution and logistics buildings – sheds – is expected to be a strong growth sector with 3% average growth expected. Only modest average annual growth of 1.5% is expected in the commercial sector. Office and retail projects take a long time to reach site, but the offices sector could reach a ten-year peak in London in 2014 and speculative building is expected to return to the regions. Major retail projects will start at Leeds, Croydon and Brent Cross during the forecast period despite recent signs of consumer demand falling. The leisure sector could be boosted by permission for the proposed £2Bn Paramount Park development in Kent. The strongest growing regions are expected to be the South West and Wales, of 3.5% and 3.4% respectively, as both benefit from the nuclear projects due to start. The South East is forecast to grow 2.9% a year on average.